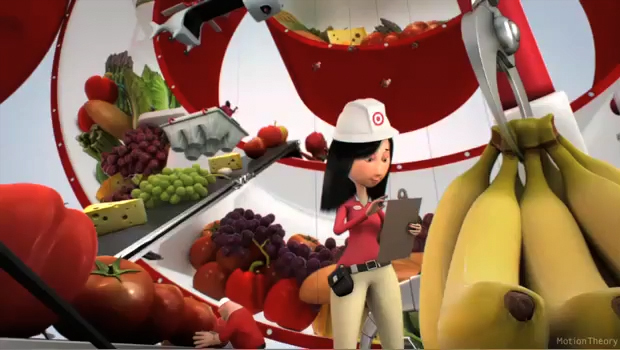 My first project while freelancing at Mirada was an epic ad for Target to introduce grocery into their stores. 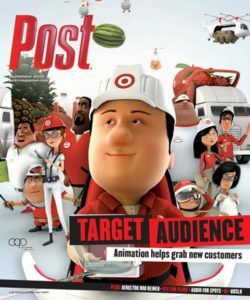 My responsibilities included character animation, layout, cameras and previs on several shots of the commercial. In this shot, I did a majority of the layout, animated the clipboard girl, the stationary bike guy and the girl with the malfunctioning fan, as well as the crane operator, the guy on the egg carton, the crane, and other secondary action. I was not responsible for the original camera in this shot, although I did do some minor tweaks to the layout camera after animation was done. Later on I was brought on again to work on another Target spot, a PSA style ad for a reading initiative from the company. This was a live-action/animation hybrid, which visually asks: What if you could look into a book like a window, and see this young girl grow up and succeed thanks to getting into reading at a young age? I was brought in early for previs and pre-production. 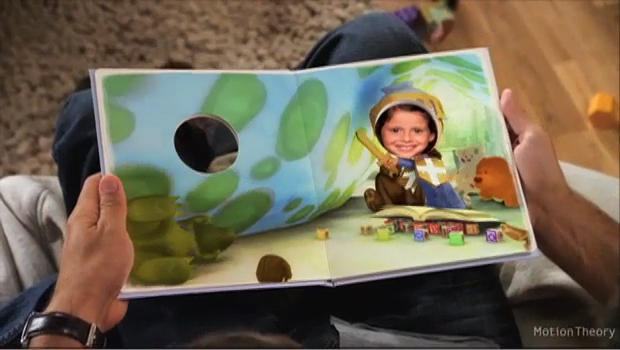 I was in charge of figuring out a solution for the camera in Maya that would give the audience the feeling that they were looking into a window that moved when the book did. I was able to use the tracking data from the book and a bit of scripting to get a successful look. I did the layout and character animation for these shots, as well as some basic prop rigging.